A Sound Meditation session with Crystal Singing Bowls and Chakra Chimes. Come along and experience an hour of stillness and inner peace flowing with the angelic sounds of the Crystal Bowls and chimes. 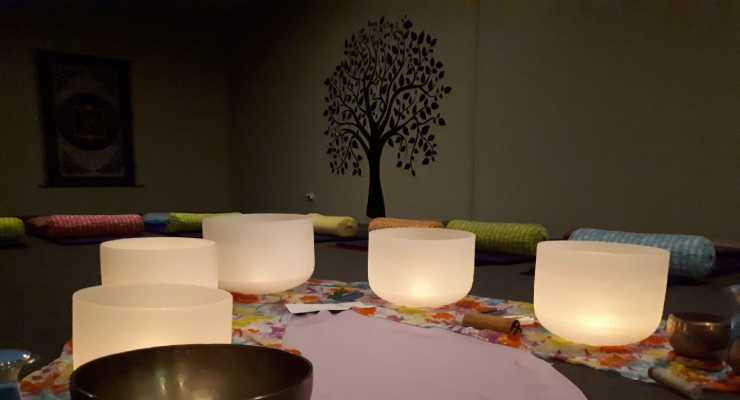 Michelle from Harmony Gongs will take you on a short guided meditation as you blissfully drift with the different sounds of the crystal bowls and chimes around you. A time to move into deep inner stillness and connection. Places are limited for this event and mats, blankets and bolsters are supplied. Mats, blankets and bolsters are supplied.